One of the highly advanced and smart cities in India, Pune is famous amongst tourists for its modern architecture and a few ancient places. It is also popular for its religious sites and spiritual places amongst locals. Most tourists coming to Pune tend to capture its natural surroundings and other historical monuments and hence, its ancient temples and other religious sites remain unexplored throughout the year. How about unveiling the beauty of these unexplored places, which are settled in the form of temples, this season? If you would love to get high on spirituality and contentment, then these beautiful temples of Pune district are your destination. Read on to know more about them and their respective distances from the centre of the city. 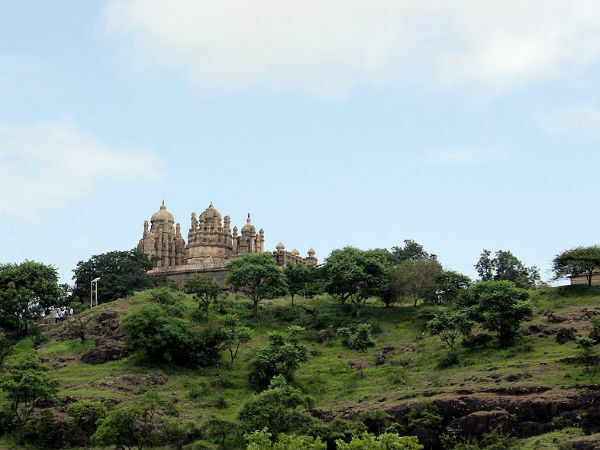 Built in the Nagara style of architecture in the early 13th century, Bhimashankar Temple is located in the midst of Sahyadri Hills at a distance of about 100 km from Pune. The temple is dedicated to Lord Shiva and is one of the twelve jyotirlingas in the country, where Lord Shiva appeared in the form of a light. As per legends, it is said that after killing the demon Bhima, the son of Kumbhakarna and the nephew of Ravana, Lord Shiva made this place his abode. Since then, it has been a significant site in Hinduism and is visited by millions of tourists every year. It is also considered as one of the prominent pilgrimage destinations in the country. With beautiful sculptures, intricate patterns and alluring designs, Bhimashankar Temple also boasts of its incredible architecture, which is one of its kind in the state. You must visit this ancient temple if you are looking at feeling the essence of calmness. The lush green surroundings of the temple make it look more photogenic. Dashabhuja Ganpati Temple is located at a distance of about 5 km from the city centre and is one of the major religious places in the region. Here the idol of Lord Ganesha is characterised by his ten hands and a larger trunk and hence, this temple is a major site of worship for the followers of Lord Ganesha and other local Hindu devotees. You can also spot a small temple here, which is dedicated to Lord Hanuman and is one of the prime spots in the compound of the main temple. The major festivals celebrated here include Ganesh Chaturthi. You must catch a glimpse of this beautiful temple if you love sitting idly amidst a spiritual atmosphere and getting lost in a parallel world filled with composure. Another beauty, which must not be ignored by any tourist or Hindu devotee is Bhuleshwar Temple, which is dedicated to Lord Shiva. With its Islamic architecture and unusual carvings, this marvellous temple is the prime attraction for architecture enthusiasts and offbeat travellers in the region. The natural surroundings of the temple also help in enhancing its overall charm. Bhuleshwar Temple is located at a distance of about 60 km from Pune city and is easily accessible by road. From scrutinising its carvings to studying its grandeur, there is a lot to do within its boundaries. So, why refrain from planning a trip to this unusual temple this season? Built during the 17th century, Chaturshringi Temple is one of the most-visited religious places in Pune. It is located at a distance of about 5 km from the city centre on the slope of a hill. With a flight of 100 stairs and two small temples of Lord Ganesha and Goddess Durga, Chaturshringi Temple is one of its kind in the region. The spectacular view of the temple during the time of dusk certainly needs to be captured. You must not miss out on this beautiful temple while in and around Pune. Located at a distance of about 95 km from the city centre, Kukdeshwar Temple is dedicated to Lord Shiva and is one of the oldest temples in the region. As per records, it is said to have been established during the Medieval Period of India and since then, it has been attracting thousands of devotees every year. Even though the temple is in a dilapidated condition today, it is still visited by several curious tourists, who come here to learn about this beautiful temple and its marvellous architecture. Incredible drawing and gorgeous patterns on the temple walls are the things for which you must visit Kukdeshwar Temple. It is located near the town of Junnar.